The Musical Journey test is an opportunity for students to receive feedback from highly qualified judges other than their regular instructor. The Musical Journey test is administered twice a year in the Spring and Fall semesters. Each year students will prepare for the Musical Journey test in their private lessons by completing a series of practice tests throughout the semester. 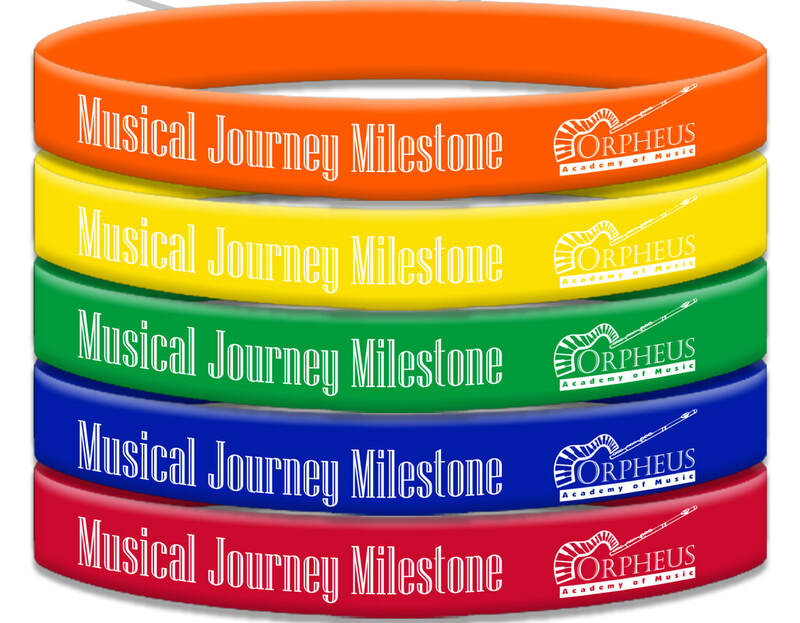 After passing each test the student will receive a milestone bracelet to mark their achievement. Students will approach the test with confidence because they have already mastered all of the concepts that will be covered on the test. ​Each Musical Journey test is comprised of two parts, a performance test and a musicianship test. For the performance portion of the test students will prepare technique, repertoire, and sight reading. For the musicianship portion of the test students will prepare music theory skills such as rhythmic and melodic ear training, identification, dictation, and notation. Below are examples for what to expect in the Musical Journey Musicianship test for each level.